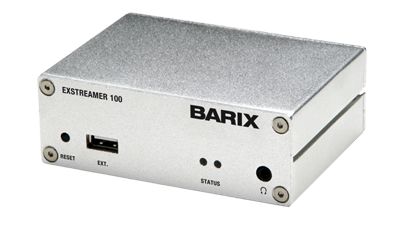 The Exstreamer 100 Gateway for Simple Paging serves as the audio decoding gateway for the Simple Paging solution. 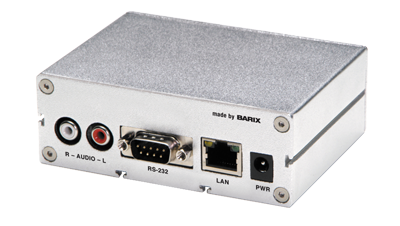 This unit comes loaded with the Simple Paging Gateway firmware and connects the master to the endpoint whether via iPhone app or the Simple Paging Tool. Once plugged in, the gateway will locate the master and end points and make the connection on the network making for a very simple plug and play solution. infrastructure already in place as the system backbone. and expansion of the system is a cinch ! less components means higher reliability !